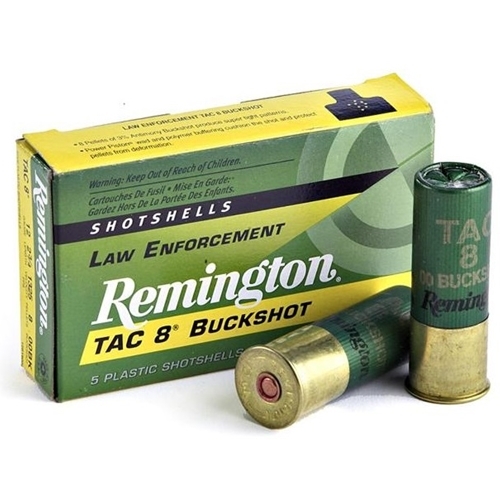 Remington Law Enforcement Tac-8 12 Gauge 2-3/4" Ammo 00 Buckshot 8 Pellets ammo for sale online at cheap discount prices with free shipping available on bulk 12 Gauge ammunition only at our online store TargetSportsUSA.com. Target Sports USA carries the entire line of Remington ammunition for sale online with free shipping on bulk ammo including this Remington Law Enforcement Tac-8 12 Gauge 2-3/4" Ammo 00 Buckshot 8 Pellets. Remington Law Enforcement Tac-8 12 Gauge 2-3/4" Ammo 00 Buckshot 8 Pellets ammo review offers the following information; Remington LE Tac-8 00 buckshot ammo is designed with Police departments in mind, so its performance and features are ideal for the conditions police shotguns are subjected to. The load is also tailored to defense use of shotguns. Remington Tac 8 buckshot is available in standard and magnum loading, and provides the reliability, consistency and stopping power you need when a shot gun comes out of the rack. Remington Law Enforcement Tac-8 is packaged is boxes of 5 rounds and cases of 250 rounds. Target Sports USA offers free shipping on all Remington bulk ammo for sale including this 12 Gauge Tac-* 00 Buckshot ammo load that is designed for Police Officers and their duty needs. Remington Buckshot lets the shooter shoot with the confidence that can only be possible done with a rifle. Remington Buckshot is an unbeatable value. Remington Express Buckshot is one of the highest valued shotgun deer loads. Remington Express Buckshot is a comprised of heavy cushioning behind the shot column and a granulated polymer buffering that helps maintain pellet roundness for tight and even patterns. 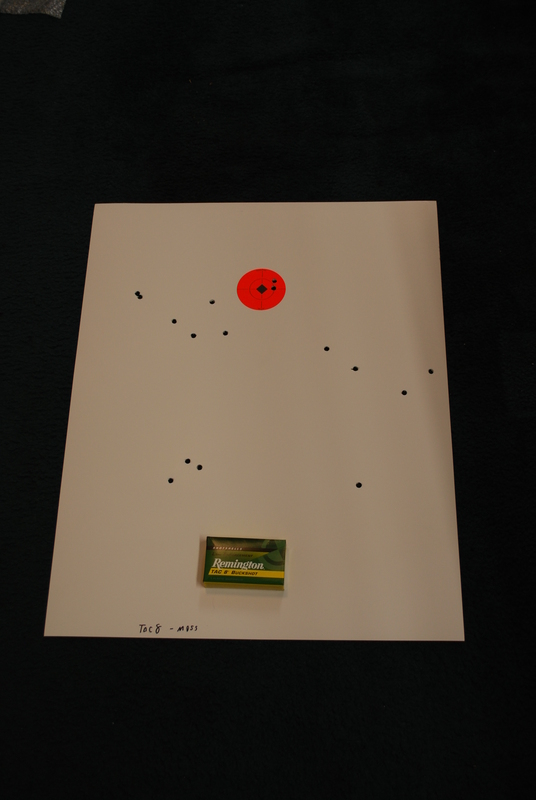 Shot these Federal Power-Shok 12 Gauge Ammo at 25 yards from two different shotguns. I was comparing it against 3 other types of buckshot (but all the exact same price as this). I fired 2 shots of each type. Out of the 4 types tested, this one was last place as far as patterns. Pattern was not very good. It did however have a noticeably lighter recoil, but performance was not great. Great service at TargetSportsUSA.com Target Sports USA offers Remington Law Enforcement Tac-8 12 Gauge 2-3/4" Ammo at the cheapest price I've seen online. The competitors can't match these discounts! Thank Target Sports USA.